Here is the radar at 6:14pm CST. The red polygons in southern Missouri are tornado warnings. 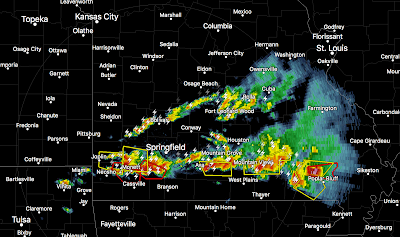 The storms are moving southeast into Arkansas. Please keep an eye on the weather if you are in these areas. This is my last update on this situation.